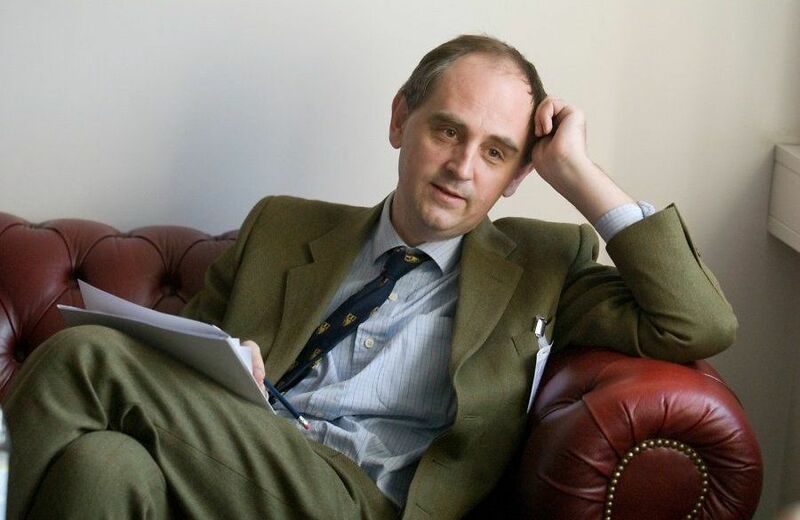 Edward Lucas is the International Editor of The Economist, the London based global weekly news magazine, and also oversees the paper’s political coverage of Central and Eastern Europe. He has been covering the region of Europe since 1986, and was the Economist’s Moscow bureau chief from 1998-2002. Lucas has been visiting Estonia on numerous occasions, and for many years has been a strong advocate for Estonia’s economic and political affairs on the international stage. He has also been highly critical of the current Russian regime for many years, and has written many books about the subject. Edward Lucas, how did your love affair with Estonia start? My interest started in my childhood, looking at the various maps of Europe from different eras, and trying to figure out why the countries which had previously existed, had disappeared – it looked mysterious to me. Coming from Britain which has had the same shape since the last Ice Age, and England that has been roughly the same country for 1000 years, the idea that a country could just disappear from the map so easily, was very puzzling – and I became very interested about the fate of the three Baltic states. Later on, I remember reading The Captive Mind by Czesław Miłosz and I was very pleased when at his Nobel Literature Prize lecture I heard him mentioning the fate of the three Baltic states. As time went by, I gradually met many anti-Soviet campaigners in the 1980’s. In 1989, when I was in Prague, I noticed a couple of young men on a tram reading Homeland, a pro-independence English-language paper from Estonia and we started talking – it turned out that they were a couple of engineering students from Estonia. We had a long and interesting conversation about the history of Estonia and her on-going struggle against tyranny. In early 1990 I visited Estonia for the very first time and met many people who at the time were involved with the Estonian independence movement – like Trivimi Velliste for example, and found it very engaging. I decided to visit again soon and started making many friends – and I’ve been going back ever since. Since you went to Estonia right at the beginning after the collapse of the Soviet Union and Estonia regaining her independence, you have obviously seen a huge change in Estonia’s progress and outlook. How do you rate it? Yes, I think that the change has obviously happened on many different levels. Some things never change in Estonia – like brief summer nights and a tradition of celebrating Jaanipäev for example (St John’s Eve and St John’s Day are the most important days in the Estonian calendar, apart from Christmas. The short summer seasons with long days and brief nights hold special significance for Estonians. Jaanipäev is celebrated during the night between June 23 and 24, a few days after the summer solstice, when night seems to be non-existent – Editor). I think that a huge difference in Estonia compared to 20 years ago is its openness. My Estonian was never good but I rarely get to use it now, because everybody speaks English in Estonia, even in remote locations. I think that Estonians are naturally very open and integrated people, and luckily the country itself is now open, democratic, and integrated as well. I also think that not only Estonia looks open externally, but the Estonian people themselves have managed to lose their fear of old Soviet style oppression and are truly feeling free. And of course, there’s no doubt that economically and politically speaking, Estonia has taken a huge step in 20 years. Estonia’s position has never been stronger. It has almost the fastest growing economy in the European Union, the lowest debt and the most vigorous entrepreneurial culture. The business environment is clean and friendly. However, until quite recently Estonia was still an outsider trying to get in. There were other countries – bigger, older, and better-connected – that set the rules. I noticed the first hint of a change at a NATO conference in Oslo, where a Norwegian diplomat was listening with interest to an Estonian official explaining the complexities of EU security policy. That struck a new chord: Norway, by its own choice on the outside of the EU, was listening to a member state on the inside. I noticed a similar conversation in Brussels: an Estonian was chatting about NATO to an attentive Swedish official. Again, it was the same story: Estonia on the inside, Sweden, normally so self-assured, on the outside. Estonia is the only country in Europe that is a member of both the Eurozone and NATO, and obeys the rules of both clubs. It easily meets the debt and deficit criteria for the Eurozone. It is one of the very few countries in NATO that comes even close to spending 2% of GDP on defence. Estonia, once such an outsider that it was not even on the map of the world, has become the quintessential European insider. At a time when other countries are breaking the rules, Estonia has shown it is possible to keep them – and prosper. Oh, and by the way – the taste of a local beer in Estonia has also improved immensely! What are the future challenges for Estonia in your opinion? There’s a lot to do. The challenge is to catch up with Western style living standards, but to do it in a way that reaches not just the income levels but also the quality of life on many different levels. For example, I feel horrified to read about the opening of a new golf course on the beautiful island of Muhu. Countryside is very precious and once you destroy that, you will never get it back. There are also many ugly buildings erected during the early stages of the transition period from communism to capitalism – near the old town of Tallinn, for example. These remind me of concrete buildings built in Britain during the 1960’s – and in Britain we are gradually tearing them down. I think that the green growth is very important. Like most countries in Europe, you will also face the question of allowing more immigrants into the country. It is important to manage this in a way that preserves economic dynamism without making Estonians feel threatened again. The memory of forced Soviet-era migration is still painful. The best way to increase public confidence in future migration will be to press ahead with an active integration strategy for the existing non-citizens and residents of Estonia who are not fluent in the language or do not feel part of the society. There’s also a growing debate in Estonia about which economic model is more suitable – liberal versus social democratic one, Swedish model versus US model, if you like. As you know, for the most part since regaining independence, Estonia has followed the liberal one. What’s your view on this? I think that this is a perception – as a percentage of Estonian GDP, the tax levels are quite high. It’s just that the income tax is low, but the level of social insurance tax is quite high. I think that the current system of flat income tax is very good, but Estonia could look into making more of the land tax system, which would be progressive and fair. There is room for making public services more efficient and better. People sometimes forget that it’s a part of being globally competitive to have really high quality public services. Sweden is a very interesting country – economically it has got a liberal model in terms of starting companies and hiring and firing staff. Trade unions do not interfere when it’s clear that the company is not viable anymore and therefore needs to fire its employees. But as a counterpart to this, there are good unemployment insurance and re-training programmes in place. The downside of capitalism is the uncertainty that it brings. You’ve got to make sure that people accept uncertainty in life in order to keep the economy flexible and innovative (see Schumpeter’s creative destruction), but you must not make people feel as if they are bearing all the burden and face life-changing catastrophe, if something goes wrong. You have to be ready to cushion the people during economic shocks, to make people feel that they can take risks. Estonia’s model has worked very well, but in my opinion you have to look at what public services you have to improve to be globally competitive. For example, you would need to have a better (English language) school system for foreigners. If you want serious foreign talent to come to live and work in Tallinn, they must be able to educate their children with high quality education in English. Same goes for universities – if Estonia wants to attract global talent, it should make itself an educational hub of the local region. Do you think that Estonia’s system of flat rate of income tax should be implemented in the UK, as recently considered by the British chancellor? That would be a brilliant idea in my opinion. Thanks to the simple tax system, Estonia spends much less in collecting its taxes than Britain, so I think that it’s a huge disadvantage not to have the same system in the UK. Finally – from your experience, how well do you think the Russian minority in Estonia have been integrated in the local society? I think that the integration has been a success, compared to what some people were predicting 20 years ago, from the stories of Narva (town on the border of Estonia and Russia) separating from the country – to a civil war. All these ignorant left-wing Western advisers have been proved wrong. What is a central for me in this context is that Estonia is not a country based on ethnicity – it’s a country based on a constitution. You can become a citizen if you learn Estonian (that is, broadly, the constitutional requirement). Estonia doesn’t have enough people to waste them, so it is therefore important to make sure that the quality of Estonian language education in local Russian schools be absolutely excellent – because all the studies show that if people have excellent written and spoken (Estonian) language skills, they don’t face any obstacles on the job market, regardless of their ethnic origin. Cover photo by Tiit Blaat/Delfi. Note that on 1 December 2014, Edward Lucas became Estonia’s first e-resident. « Hey Liis, how’s Santiago?